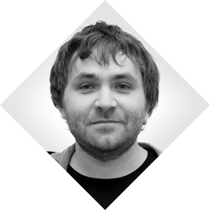 Vitaliy has started his career as PHP-developer in Magento in 2007. In 2008 he took the role of technical leader of Magento Expert Consulting Group (ECG) and continued till 2013. As the technical leader of ECG his primary responsibility was organizing a highly effective team that provides trainings, consulting and development services for partners and clients across the world. Recently Vitaliy has changed his role and now he is one of the leading architects of Magento Product Engineering and today his area of responsibility is delivering and implementing advanced solutions to Magento product. Ecommerce opens doors to endless opportunities for developers as one of the fastest evolving IT industries. Join our star speakers: development, management and marketing professionals that move ecommerce market working on world-famous projects with millions of everyday users.